Dr Amanda Krause is a postdoctoral research fellow in the ARC Centre of Excellence for the History of Emotions and Melbourne Conservatorium of Music. Here, she explains her new research into radio listening habits of older listeners, and how you can get involved. Hi Amanda, can you tell us about your current research project – what’s involved and how did it come about? In partnership with the Community Broadcasting Foundation, I’m exploring older listeners’ radio listening practices, and how these might relate to their sense of wellbeing. 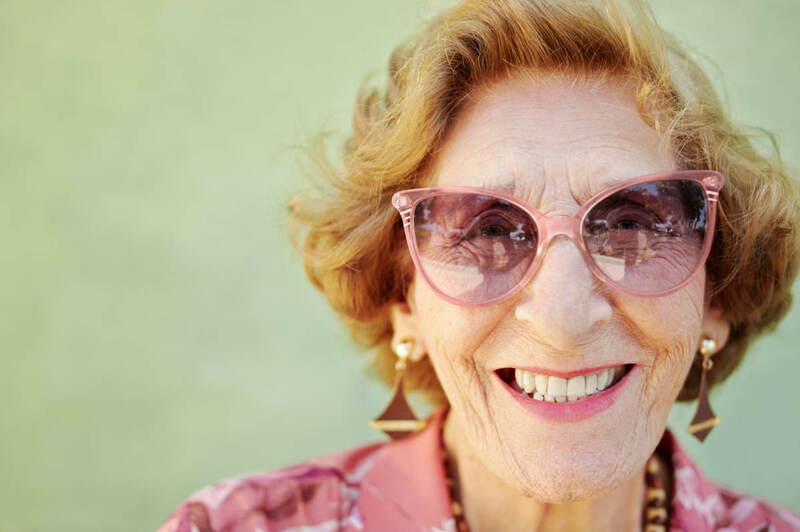 We’re interested in the experiences of people over 65 years old. Many older people have restricted access to social contact and are highly vulnerable to a range of socio-emotional problems including loneliness and depression, making this research particularly important. Existing research indicates that the benefits of participating in music-making opportunities – such as singing in a choir, playing an instrument in a band, and listening to music – include a reduction in depression and anxiety symptoms, while offering opportunities for social interaction. So, my colleagues at the Community Broadcasting Foundation and I are interested in whether music listening can do the same. We’re focused on the radio, because it is a very familiar, longstanding technology which offers both information and entertainment. Has there been a noticeable pattern in the type of radio the people you’ve interviewed turn to? Is it spoken-word, mostly, or music-focused stations? Is it the human voice, you think, that plays a role in combatting loneliness and depression? I’ve noticed a few things from the interviews I’ve conducted with Melbourne residents. It seems that individuals define their relationship with the radio in different ways. Some people have it on in the background – they might turn it on in the morning as they wake up and get ready for the day, or have it on in the background as they do housework, and so on. But for other people the radio acts as a companion. For instance, people tune into certain programs, follow along to hear certain presenters, and that kind of thing. In this way, the radio offers companionship. It’s clear that everyone has their own preferences or listening tastes. Some people enjoy hearing conversation via talkback or morning programs. Others prefer to listen to uninterrupted music programming. I think people are motivated to listen to programming they enjoy – so it’s not necessarily going to be one certain type of program – but that’s something we need to do more research into. On those lines, it’s also interesting that some people spoke not only about their enjoyment from listening to the radio, but about consciously modifying their listening in efforts to improve their mood. That’s something we’re really interested in. Loneliness seems to be getting a lot more attention these days, with numerous news stories about how detrimental it is for health and wellbeing. Are we more lonely than we used to be? Or is it just that we’re finally acknowledging the problem? I’m not sure whether we can say we’re more lonely than we used to be, but I think there’s greater recognition of the problems connected to loneliness. It’s an important issue – and not only for older individuals. Can you tell us a bit about your own interest in music? I’ve always been really interested in music – growing up in the USA, I listened to a lot of music and was involved in band and orchestra at school, but I was also really interested in pursuing psychology. I was fascinated to learn about the field of music psychology and have travelled the world to study and work in the field. After doing my undergraduate degree and working in the US, I earned an MA in Applied Music Psychology in the UK and then completed my PhD at Curtin University in Perth, WA. I’ve taken up a position at the University of Melbourne to continue studying everyday music and arts experiences in collaboration with Professor Jane Davidson. We have a number of really interesting projects going on that will help us understand the impact of arts experiences on our wellbeing. Working in this field has allowed me to research music behaviours, and I’ve chosen to focus on everyday listening because it’s one of the most common leisure activities at all ages. What role does radio listening play in your own life? Has this changed over time? I suppose my radio listening has ebbed and flowed. I remember making mix-tapes from radio broadcasts – hoping, like many others, to catch the song without the DJ – and learning to navigate different family and friends’ station preferences on car trips. Having lived in different cities around the world, I’ve also enjoy checking out what local community radio stations have to offer. Each is different, and that has helped me connect with the different places as I’ve lived and travelled. You’re looking for participants for your project at the moment. Who would you like to hear from? Yes, we’re looking to hear from more people so we can have a better understanding of how and why people listen to the radio, what they’re listening do, and how this might be related to well-being. We’re currently seeking adults to complete a short questionnaire. Any adult – aged 18 or older – is eligible to participate, and anyone who completes the survey has a chance to win one of four $50 Coles Group & Myer gift cards. The short survey for Dr Krause’s Radio for Wellbeing research project can be completed online. To request a paper copy, email Dr Amanda Krause or call (03) 9035 6134.You can also visit the Community Broadcasting Foundation website for more information on the project. Find out more about studying at the Melbourne Conservatorium of Music. Find out more about the ARC Centre of Excellence for the History of Emotions. Sign up for the Faculty of Fine Arts and Music free monthly enews. I find this study interesting. I use radio, music and arts to take my mind to new places and stimulate imagination which my mind needs. If I have repetition, boredom or lack of physical activity I can become physically sick and in pain as well as depressed. Radio and arts productions are an essential part of my life. It always has been. As a child we had stories and music on radio. I like to have mental stimulation from external sources so science and comedy and interviews all contribute to increasing my enjoyment. News for sensation and repetition of detailed bad news is however destructive and definitely has a very negative affect. I turn the radio off during the news. As I am happily alone in my workplace I like to listen to the radio: conversations, music, discussion, lectures – always the ABC – and find as I am working my mind wanders in and out of the radio programs, stimulates my creative thoughts and in that way assists me in my creative endeavours in my studio.